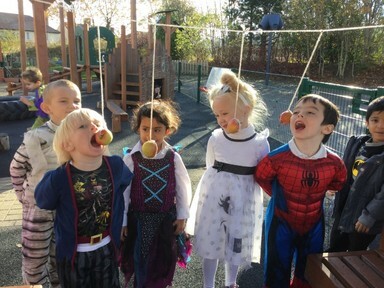 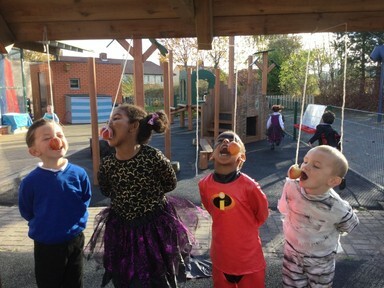 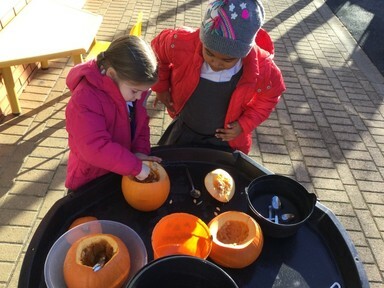 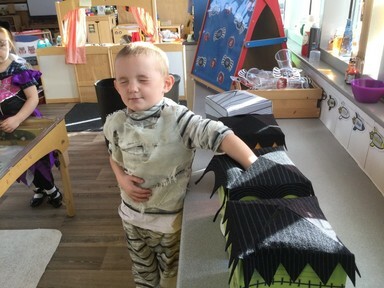 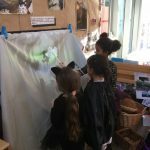 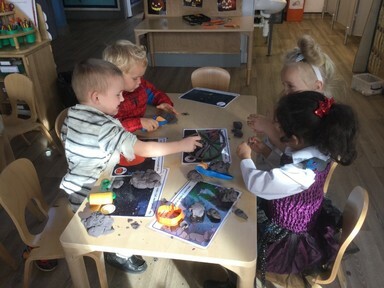 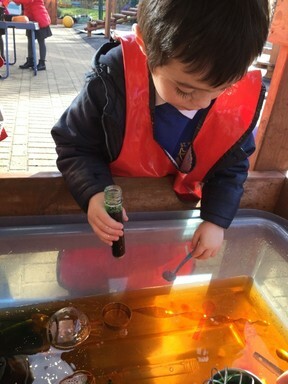 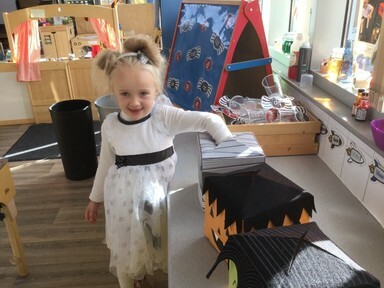 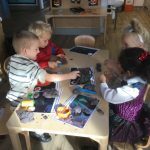 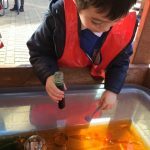 The children in Nursery and Reception had an exciting few days exploring Halloween. 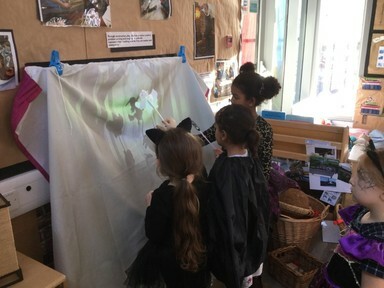 They began the week sharing stories about Meg and Mog, a witch and her little black cat. 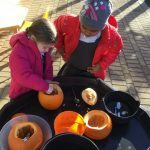 This lead us to create our own magical spells and potions, to carve pumpkins and make spooky creatures. 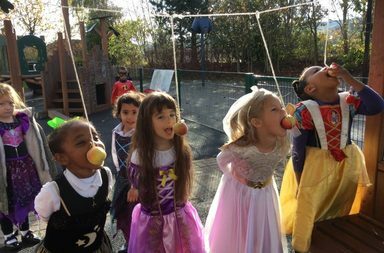 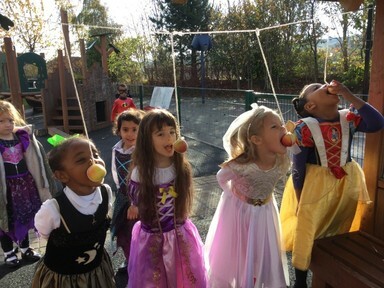 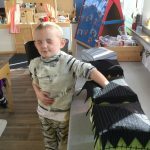 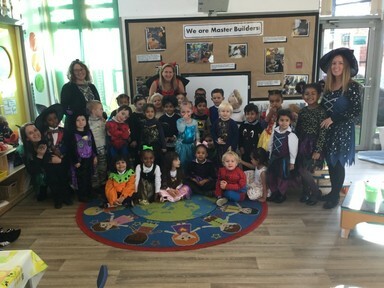 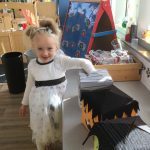 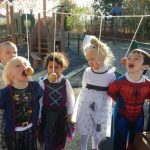 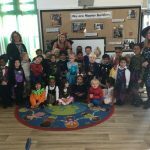 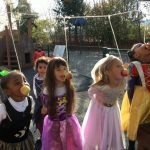 When Halloween Day arrived, the children came to school dressed in spooky costumes and took part in lots of different activities. 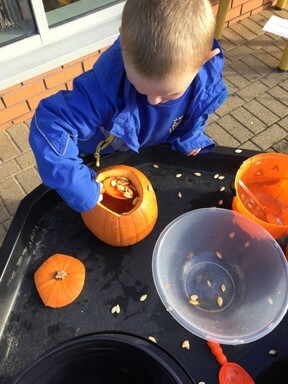 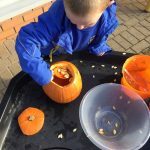 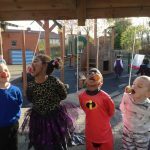 We played traditional games such as apple bobbing, created scary shadow puppet stories and baked tasty Halloween biscuits!